Daniel’s Broiler will not be closing but moving to a nearby site so that Vulcan can redevelop the pier. So it’s not last call for Daniel’s Broiler on South Lake Union after all; its death has been greatly exaggerated. Here’s to the piano man who can continue to tickle the ivories to “My Way” and all those drunk singalongs. The party, as far as management is concerned, “ain’t going to end” when Daniel’s moves at the end of 2018 so that Vulcan Real Estate can redevelop that pier. The waterfront steakhouse will relocate nearby along South Lake Union, management said. It was business as usual recently, 4 o’clock, still day but looked like night inside Daniel’s cocktail lair, with suits and Gore-Tex-ed young professionals clinking Manhattans in the lounge. Around them was the background noise heard at every steakhouse — ice rattling in cocktail shakers and jazz blowing from overhead. Steaks and seafood are what the well-coiffed servers usually usher out. 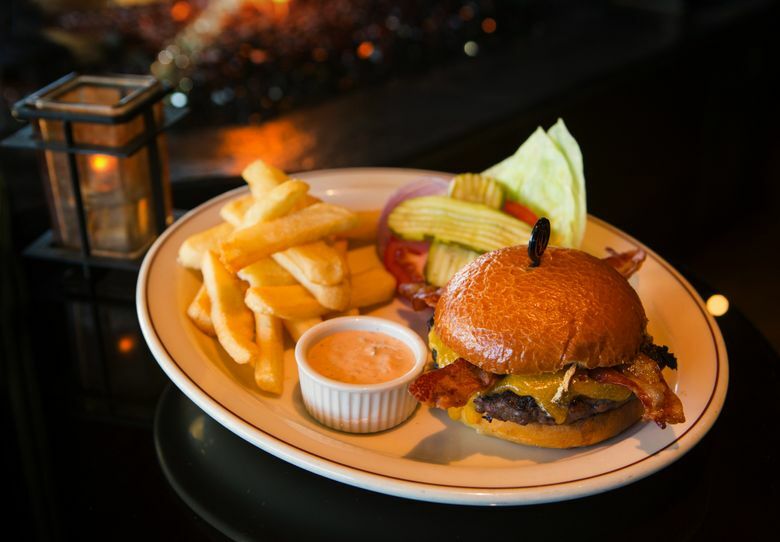 But come happy hour, even for the expense-account set it seems, the half-price burger ($9) is the thing, a juicy half-pound bacon cheeseburger on a toasted brioche with all the fixings and Thousand Island dressing on the side, along with copious amounts of steak fries. That $5 happy-hour Caesar salad? At best, inoffensive enough for all tastes, neither garlicky nor fishy, and, in any event, is forgotten as soon as you eat it. 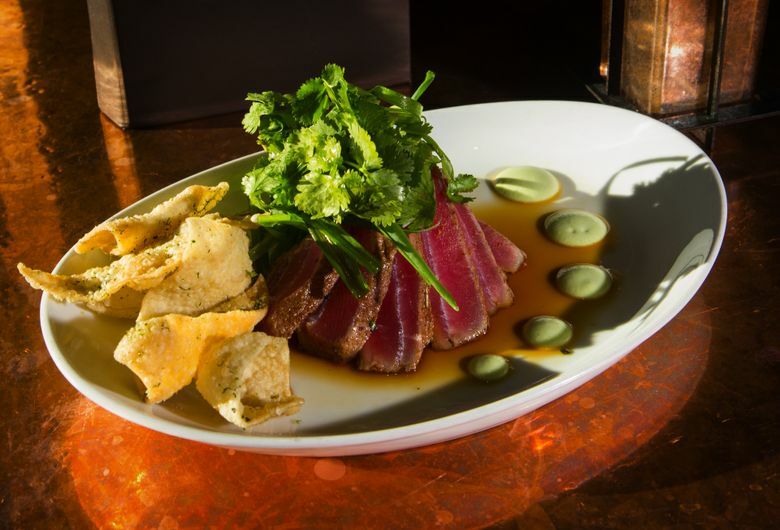 More memorable are some seared ahi and a smear of wasabi to mop it up with for a kick. By 5, the bar was packed as the server wove through the crowd to bring glasses of cab to the back-corner table where the grand piano used to be. That piano has been moved farther back to the new Prime 809 lounge, where there’s now open-mic night and also where dudes with horns and singers come to jam. “Party never ends,” the bartender said. Daniel’s Broiler, 809 Fairview Place N., offers happy hour 4-6:30 p.m. daily with half-off on selected items ($5-$9), such as the bacon cheeseburger and seared ahi tuna, and $1 off on beers, $2 off on cocktails and $3 off on wine (206-621-8262; schwartzbros.com).